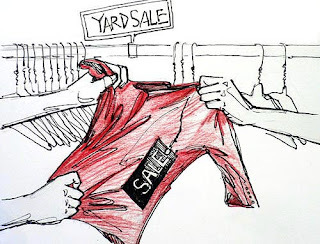 Yard sale, garage sale, however and whatever you call it, we have our own means of getting rid of our junk. All those years, buying whatever-it-is that ends up collecting dusts on the shelve or covered in cobwebs and thick layer or dust. So the human community came up with a way to actually get rid of those junk (not by throwing it in the dumpster) through reselling these items instead. Because "one man's trash is another man's treasure". You might be helping that next door neighbour who is actually looking for a mountain-climbing equipment that you had never use, mint-in-package in your store room never cease to set sights on the trails it was meant for. For me, a yard sale is a healthy community occasion. Why? it brings people together. Albeit the purpose defeats the mean, eventually, when you're browsing through that heaps of junks, pile of books, racks of clothes, you will be interacting with the other 'vultures' and make small chat with them. It may seemed irrelevant somehow, howbeit it helps with the notion of knowing your neighbours, building that relationship. 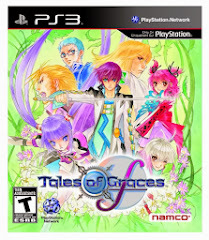 This is somewhat an essential investment for your future well-being. In cases of emergencies, your neighbours are the closest people that can offer assistance. 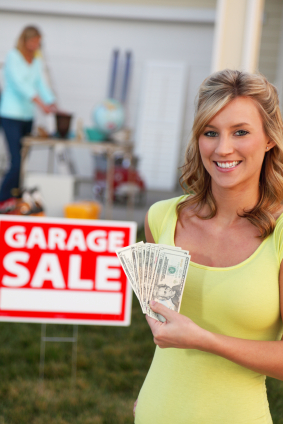 As for a seller point of view, having a yard sale can help them in two ways. Financial, and housing space. Financially, it can help you during those 'hard' times when you're strapped for cash. Find those old shoes or boots (that is still wearable and look good enough that people want to buy it, okay?! ), those books that you have finished reading (and never going to read anymore) or have never get around to read it, that beautiful old blouse or shirt that you can no longer fit into, or other accessories of the house that might no longer be of use to you, and catalog them accordingly so that buyers can easily browse at the items for sale, rather than having to dig and dig through piles of stuff. As for the matter of housing space, it can really help you clear up all those nooks and crannies, bloating closet, about-to-fall-apart shelves, and all the other cupboards or drawers are just too full of craps. 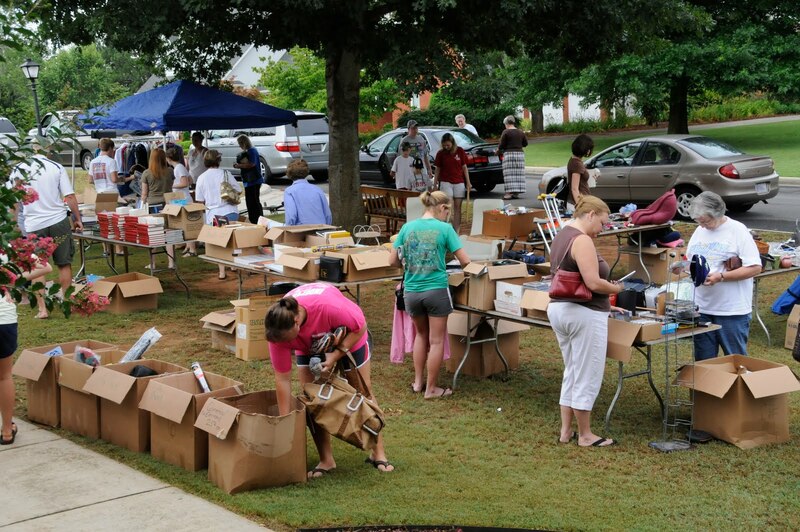 If you're a hoarder, then it is always better to have a yard sale, annually. Who knows what kind of craps and junk you've been collecting all year long? Sometimes you would recognise it as a hobby, collecting "things" (porcelain dolls, comics, figurines, etc.) that you find interesting but if you know how to neat, sort and organise your living space, by all means, gratify yourself with that "hobby" of yours. But if you ended up having to tip-toed and walk carefully in the house so that you won't trip over and break something, it's time to shove it all down by the lane and giving up those "lovely" collection of items. I know, setting up for a yard sale is a hassle. You need to sort and organise these items on in a manner that is easy for the buyers to select and purchase. Research on the item prices so that people would even consider purchasing them. It's simple thinking, really. Who would want to pay for a book or a China that had seen better days? And then the cleaning-up process itself is an inconvenience itself. 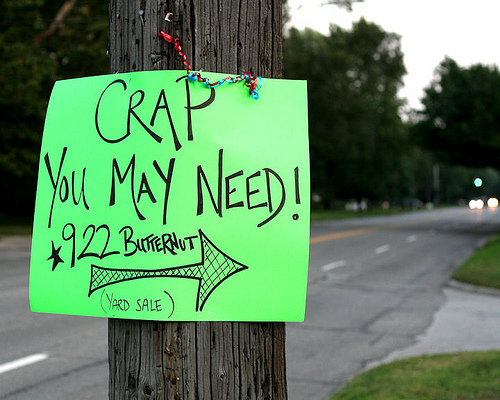 Especially if the yard sale wasn't all that successful and accepted. Thankfully, we live in the wireless age where everything can actually be done with a click of a finger. Yeah, I know, that is so cliche. Touche. 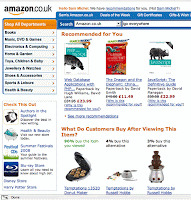 Amazon is one of the most used web platforms for people to advertise and sell their stuff. Just register your item on the site, paste a few pictures of the item itself (to help the buyers see how is the condition of the item), and just wait until someone called you up about the item. In the mean time, you don't actually have to sit in front of the pc waiting for someone to 'click' buy. Go ahead and go on with your daily life, the internet will take care of it. 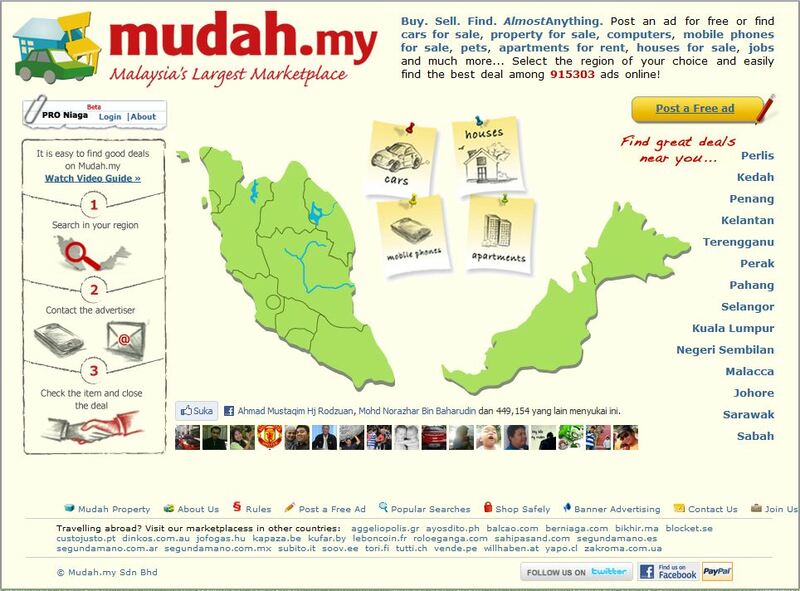 In Malaysia, however, most of us opted Mudah.my. 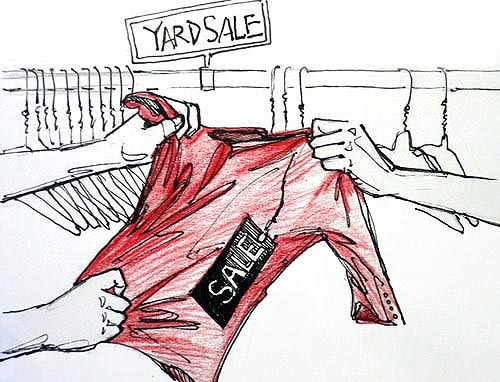 as our choice for these modern 'yard sale'. 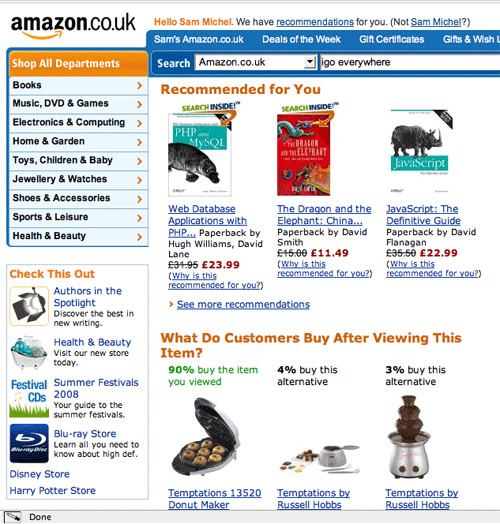 It is almost the same with Amazon, not so much of a difference. So, I suggest you get off your lazy bums, start looking around in your house and find that junk which you think you will never see the light of day and relieve yourself from the burden of hoarding yourself to death.